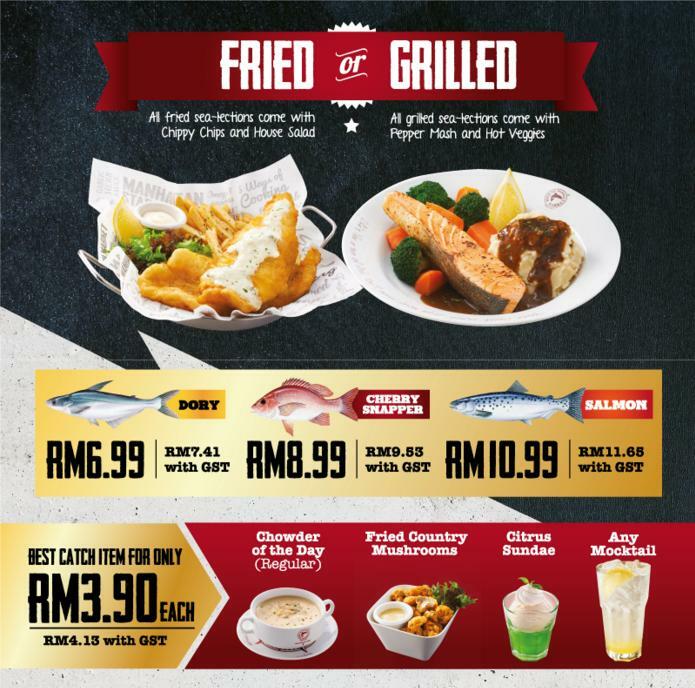 Malaysia’s Good Food & Stay Guide » Blog Archive » Manhattan Fish Market RM6.99 is Back! Manhattan Fish Market RM6.99 is Back! Having waiting for the annual galore of fish and chips, folks? Get set, Go Go Go!! 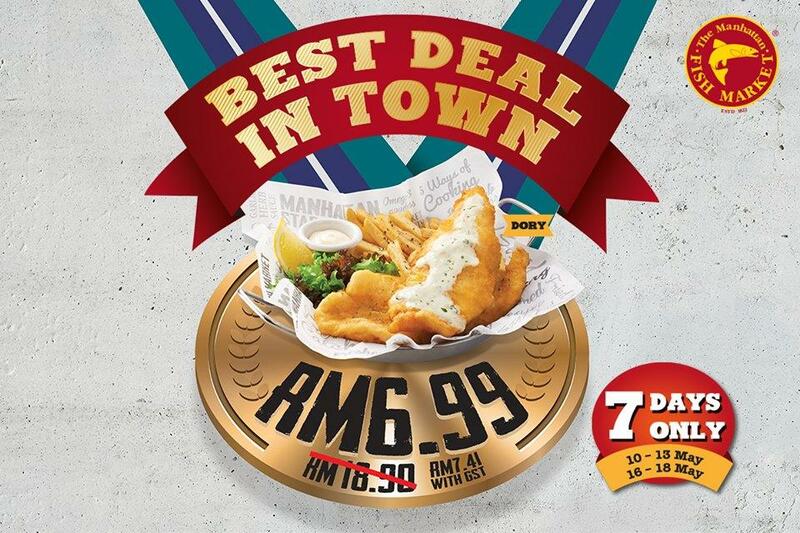 Don’t miss the dates again as IT IS INDEED “Best Deal In Town!” Thumbs up, Manhattan Fish Market for the exciting yearly rewards for all Malaysians especially. The king and french crab platter and other promotions are also not to be missed too. Fried (comes with chips and salad) / Grilled (comes with mashed potato and buttered veggies). This entry was posted on Monday, May 9th, 2016 at 2:41 pm	and is filed under Food Promo, Heavenly Klang Valley Food, Mesmerizing Penang, Western Restaurant. You can follow any responses to this entry through the RSS 2.0 feed. You can leave a response, or trackback from your own site.